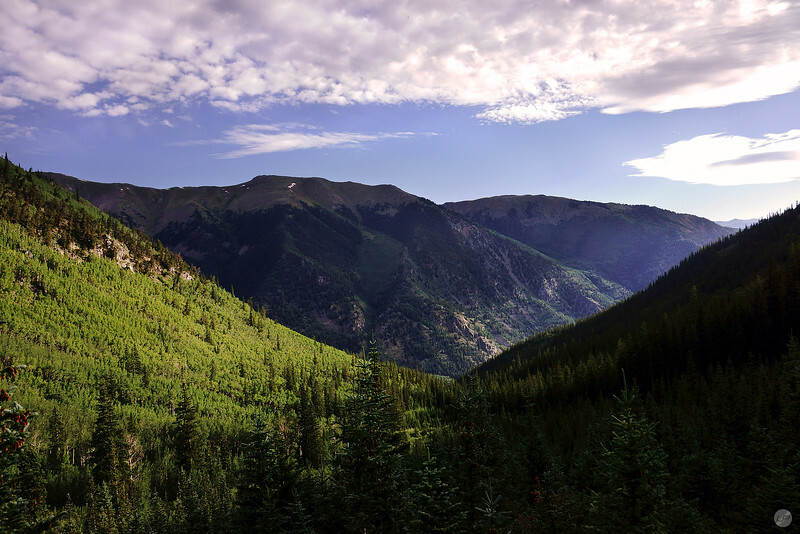 The sun peeks through the valley on the hike up Colorado 14er Mt. Belford. This view was only available at a couple spots on the trial!